I feel as though I ought to scream ‘Welcome back!’ and throw confetti into the air to celebrate my return to this blog after a four-year break. To own the truth, the break was not intentional; my life changed rapidly and I had far too much on my plate to continue with blogging. It was no longer a priority because things were far too complicated and disquieting in my life, and as it happens when things are tumultuous many things fell to the wayside. Still, fret not, for I am back. You will have noticed some changes here. For instance, I am now writing some columns here on my blog; I have taken my passion for food histories and started writing the Food Tales column. Here’s a recent post I wrote about pastila, Russia’s forgotten candy. I’m also writing other columns called Kitchen Loves where I’ll be reviewing or chattering about products or kitchen-related things, and Writing Loves where I’ll be chattering about writing-related things. I’ve also got a Food Reviews column and my Fab Friday column where I’ll be linking to lovely things I found during the week, or even just posting a Fab Friday all about autumn as I did recently. But perhaps the biggest change is that I’m migrating my other blog here to a column called Writer in the Kitchen; I’m ridiculously excited about having everything in one place at long last. The other site will become a professional one to showcase my professional writing. I forgot to mention that; I am now a professional writer with everything that entails, and writing for publications like NPR and Saveur. Imagine that. I never thought for a moment that this would be my life but it is, and I am so excited about it. I have lots of other bylines as well, and currently all my writing is showcased in this portfolio, but will soon move to my awanthi.com site as soon as I finish migrating that blog here. And so on to brioche! It seems fitting that my first post should be about bread, somehow. As you can see, this is rather a luscious loaf. That’s because it’s brioche. 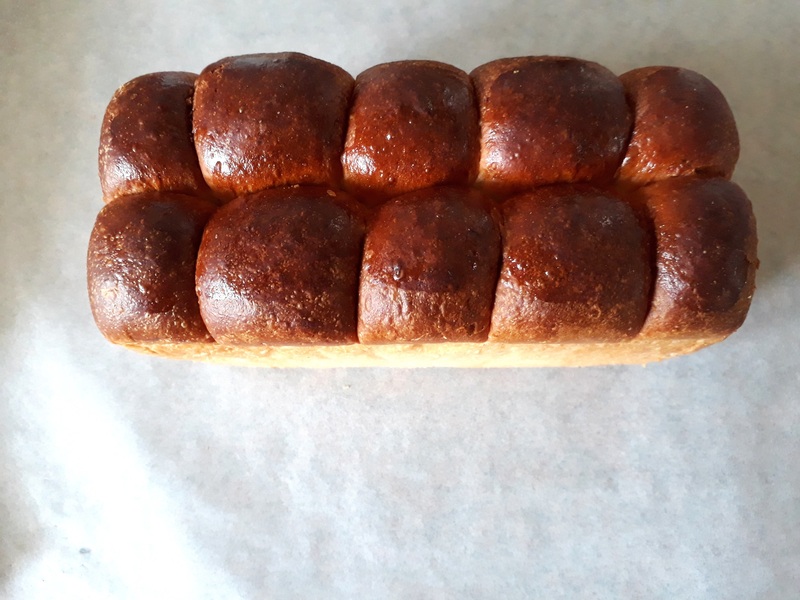 Brioche is one of the most delicious breads in the world; it has a richness to it that can’t compare. The addition of the eggs and the butter contribute to its immense richness, and it is the perfect loaf to make into French toast (I’ll be making some for the blog this week!) or to use in bread pudding. 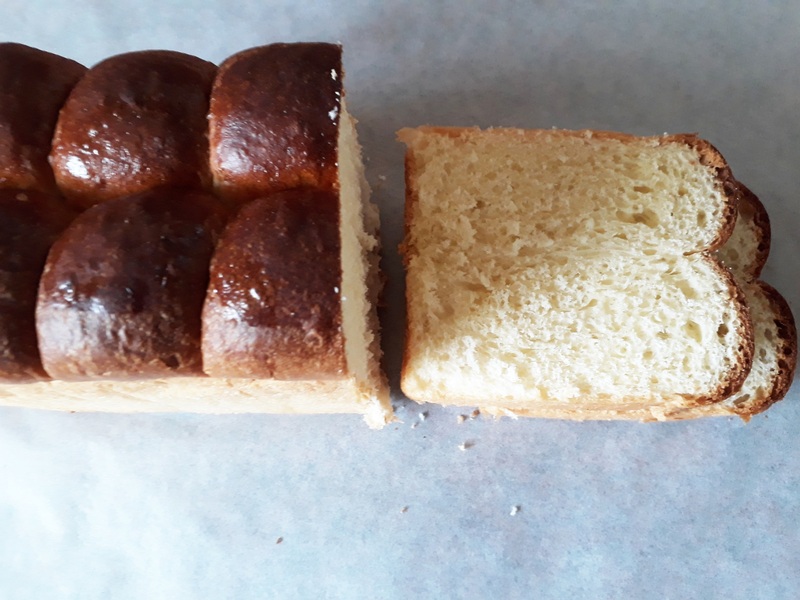 It’s actually perfectly easy to eat plain (although, to be honest, I snack on plain bread whether it’s brioche or not) because it is so very rich and delicious. And yet for all its richness it’s also an incredibly light bread as well. I use Paul Hollywood‘s recipe (yes, Paul Hollywood of the Great British Bake Off fame, for those of you who don’t know about him), and I’ve replicated it for you here. Give this brioche a go this weekend; I promise you won’t regret it. This looks incredible- these pictures are stunning. I’m definitely not a baker, but I might have to give this one a shot! Thanks, Ana! The recipe is fairly simple and the rewards are substantial, so I’d highly recommend trying it! Yay! I’m so glad you tried it and liked it!